As our climate becomes more severe, we’re seeing more flooding and, as a result, more property damage caused by water. PCS is in a position to offer assistance in these situations. our inventory is always brimming with tools and equipment for flooding. After all, we are located in Houston, the Texas metropolis with more casualties and property loss from floods than any other locality in the U.S.
We offer units which remove moisture from rooms, and air scrubbers to remove airborne contaminants. 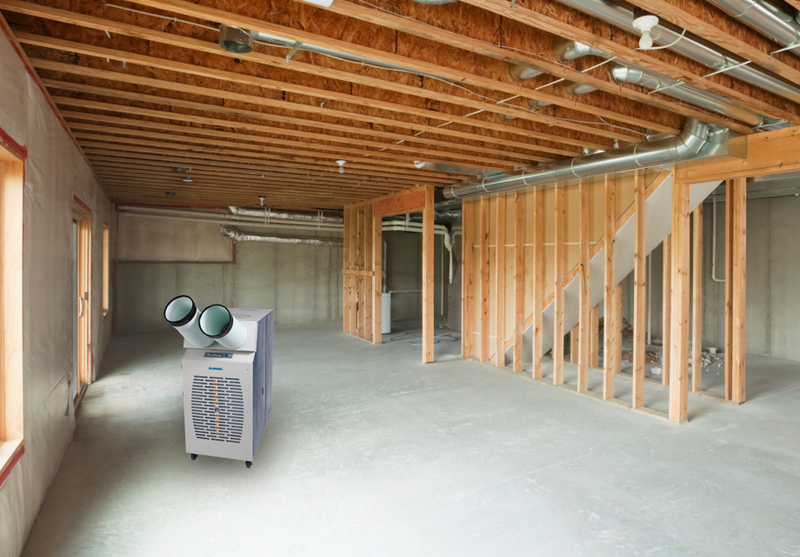 Before renovations begin, Kwikool spot cooling and air conditioning units will remove primary and secondary moisture from the air so everything can dry completely. In these situations, moisture is the enemy. We carry KwiKool products for Indoor/Outdoor use, Hepa filtered and bacteria killing units for Medical Application and Laboratory requirements including clean room situations, back up and emergency units to get you cold or warm in a snap! Back up temperature control for your commercial building, office, and laboratory or wherever you need comfort or emergency cooling. Call 24 hours a day can be anywhere in 2 hours in Houston Proper to pick up, Drop off, or install any Kwikool portable A/C units. We are never out of inventory because Kwikool is manufactured right here in Texas. Our large and diverse fleet consists of more than 40 unique systems built for efficiency. Call today, so we can match you with the right unit for your particular need. No waste, environmentally conscious systems, which save you money every time. Manufactured in the US means the parts are always right here and can get a replacement part to anywhere in the US or Canada within 24 hours. Kwikool portable spot cooling systems are more efficient in their electrical usage and are manufactured with materials which are environmentally friendly. In a flooding situation, partnering with dehumidifiers Kwikool air movers can be a very effective – and profitable – equipment package. Kwikool air movers do an excellent job of moving the air around so moisture can be evaporated to be more easily absorbed by the dehumidifier. Our line of more than 50 different air conditioning products are effective for circulating the ambient air. Kwikool spot coolers concentrate a high-powered stream of air and aim it wherever it’s needed. One more piece of equipment rental businesses should offer is an air scrubber. Complete with a HEPA filter, these units have the ability to filter 99.97% of dust and fine particles (.3 micron or larger) from the air. This is extremely important whenever occupants have allergies or asthma, or in situations where mold and mildew are present, as spores can be hazardous to the health of occupants if they aren’t removed. Our top of the line scrubber, is Kwikool’s KBIO also known as their BioKool which was recently released. They are elite air scrubbers used in operating rooms, and laboratories thanks to the high end HEPA filter built into the design. 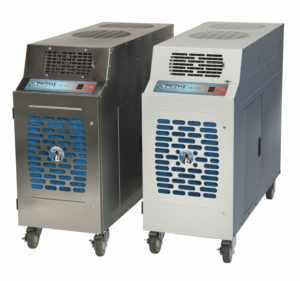 We also carry three other models of air scrubbers used for removing musty odors after a flood.